Bonkers about Perfume: Papillon Perfumery is poised to post a Plum prize in the latest Bonkers giveaway! 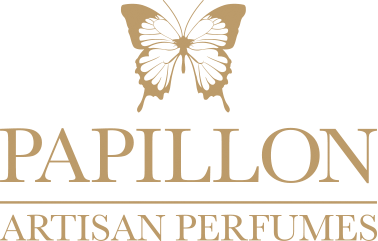 Papillon Perfumery is poised to post a Plum prize in the latest Bonkers giveaway! So in my review of Hermès Muguet Porcelaine last week I compared Jean-Claude Ellena's craggy looks to a softer, more approachable version of Samuel Beckett. It was one of those random similes that seem to pop into my head all the time, for better or worse. Imagine my surprise then, when I received an email from Sue Phillips, the CEO of Scenterprises. Scenterprises is the US equivalent of The Perfume Studio over here, of which I used to be an associate. 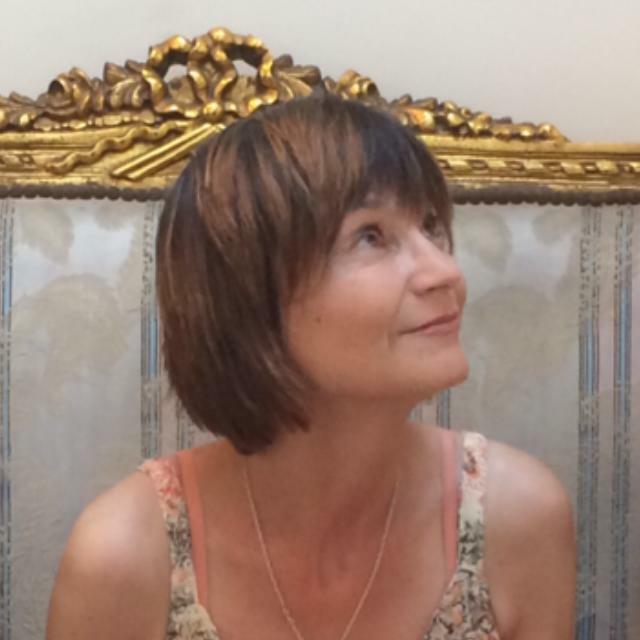 I helped people create their own custom perfume from 'building blocks' in the form of 18 pre-prepared accords / blends, which had in turn been created by a UK perfumer, whose name escapes me now(! ), but who had worked with The Body Shop, and whose understated style had garnered praise from Luca Turin himself. And here my blog post about my own experience as a punter, which is what prompted me to become involved as a facilitator. Sadly, I gave up the job after about a year, because I couldn't make any money from it after the cost of materials and packaging - it was taking me three hours in all, half of which was spent on the session with the client, and half in setting up the room to create a nice ambience, making up their chosen scent afterwards, and clearing away after they'd gone. We were encouraged to offer the experience for one person at about £40 - having just checked the website, that seems to still be the case. By contrast, I see that Scenterprises charges $500 for what I take to be a broadly equivalent one-to-one service in the US. This is in New York, mind you, where people clearly have a lot more disposable income than in The Midlands, and where the venue would be be subject to higher overheads. On the face of it, it does still strike me as a big differential between our two continents, though. "I loved your post about Jean Claude Ellena and met him and his wife Susanna (who is the niece of Samuel Beckett), so I got the reference!" "I worked with Jean Claude when I was at Elizabeth Arden and he had worked on Lagerfeld for Men in collaboration with a US perfumer friend of mine, and when I visited him and Susanna I was overwhelmed at all the Beckett first issues and books." Well, what a remarkable and satisfying coincidence, for I had no idea that Jean-Claude Ellena had any family connection - even by marriage - to Samuel Beckett! So that was one surprising thing. But there's more... For while at The Fragrance Shop chatting to the sales assistants about Muguet Porcelaine, I clocked the deep discount on Mary Greenwell's range of fragrances, including Plum,which is the only one I have tried personally. I mentioned it in my previous post, and also on Facebook, where it prompted a small stampede(!) of people worldwide, availing themselves of this offer, partly on a blind basis, which readers know I don't normally condone, haha. Anyway, Liz Moores of Papillon Artisan Perfumes was one such who took the plunge and found that Plum wasn't in fact quite her cup of tea. And she has kindly offered to donate her bottle to a giveaway on Bonkers, and post it from Papillon HQ free of charge to the winner. So not only do you bag a bottle of Plum - it may even be the 100ml size, I can't recall - but one which has spent a little while in the lively menagerie which is Liz's home and studio, which I am betting will considerably increase its cachet! So many thanks to Liz for her generosity. Then in order to be eligible for the giveaway you have to be in the UK, alas, after my recent overseas mailing misdemeanours, painfully documented here. The draw will close on Sunday 7th August at midnight, UK time (well, obviously). Liz will mail the bottle at her earliest convenience once I have notified her of the winner's details. But here's the other funny thing. The perfumer for Mary Greenwell is François Robert, and blow me, if he isn't the new perfumer behind the blends for The Perfume Studio! Thank you so much for that fascinating nugget about JCE. I didn't see that coming! I have wanted Plum for quite a while .I love tuberose fragrances and it sounds lovely . Well, this has discernible tuberose in it, I would say, along with tons of other things. Good luck in the draw! I don't have enough perfumes. Of those I have, most smell of roses and the rest of crushed greenery. I clearly need a new departure. I Can't imagine not loving anything recommended in this blog. Rush it to me. Haha, I know the perfumes you mean. Plum is a true one off - a big, perfumey, bosomy, fruity, floral diva of a chypre. I think it is very well done, and very distinctive and bold for a 'celebrity scent', which I guess it is really. I don't think it is for everyone, mind, but if you win and don't care for it, we can figure out a fall back plan! What a fantastic opportunity to shout:" YOU PLUM". That's as good a reason as any I am likely to hear in this giveaway! I'd love to join in on the giveaway. However, if it is oven to UK residents only, I understand and promise that the only grudge I will hold will be the one I already hold and nurture against Royal Mail. I wonder if I'd want to compose my own fragrance if I had the chance. Will my nose be able to construct anything that I'd want to lend my name to - in the vein of Oscar Wilde's opinion on clubs who would have him as a member and all that. We will forever be united in our grudge against the Royal Mail - I get a twinge of grief every time I remember that package. It's a not dissimilar feeling to when I had my luggage stolen exactly a year ago, just on a smaller scale! I think it was Groucho Marx who said that thing about clubs, haha, and I understand your reticence to create your own scent. The one I made back in 2010 when I was a punter I have long since thrown away. It had a green accord in it that I was in two minds about including, and which totally dominated the composition after that. Luckily The Perfume Studio seems to have abandoned it now anyway. I know the feeling. Earlier this year I boarded my train home from work after spending 2000 Dkr. on new clothes. When I got off the train 55 minutes later I left the bag with my new clothes behind and I never saw it again. This was obviously my own fault although I did (have to) pass a bit of the blame on to that person or persons who found the bag and did not do the right thing. The grief, oh, the grief! There were some serious goodies in that package, Vanessa - shame on the postal powers that be! Oh Marie, that is terrible news about your lost clothes! I have often left items behind in a public place in error - most spectacularly my briefcase (with EVERYTHING you can imagine of importance in it) but have been lucky with the honesty of the finder when it has really mattered. Coming on top of the upsetting business about the package to you, that is a crying shame. What are the flipping chances?!! Unbelievable, V. About as likely as that guy in Staffordshire on the news today whose signed banknote came back to him after many decades in circulation. You know Bloom are doing something to what you did and are charging £150 for a 50ml formula in one hour. £40 was way too low. I did not know Bloom were doing something similar - is it also from pre-prepared accords rather than scratch ingredients? The Betty Crocker school of perfumery if you will? £40 was too low, but that was the guidance. Also, Virgin sold these experience vouchers for £50 to redeem at the Perfume Studio so that was the absolute upper limit for one person or they would simply buy a voucher from there and you would have to honour it for the price. Of the £50, something like £18 went to Virgin as their cut, leaving me with about £32, of which a further £25 went on buying replacement atomiser and perfume blends from The Perfume Studio. I imagine the US side of things must be a lot more independent, when it comes to price setting. Yes, they are pre-made accords/bases. I think they've been doing it for almost a year now and it seems to be a success. How can you charge similar or even less than it would cost to buy a standard bottle of designer perfume from the high street?! Ah, so quite similar in that case. In the case of The Perfume Studio, in fairness the customer got a 20ml atomiser to take away, but the economics still didn't stack up for me, no question. A great friend knowing my obsession with all things olfactory bought me a gift last year - the chance to 'make' my own perfume with non other the the Perfume Studio. As always I left it until this kind gift offer was due to expire and so had to 'create' using the aforementioned 18 accords MY perfume - only problem I had a terrible cold and could only smell 2 accords anyway - so i made it from memory - 'Bohemian Madame' - a patchouli rose - a bit like Agent Provocateur! And Plum ? I have a sample which must be 5 years old & I cannot bear to be parted from - so a bottle would be very special ! Oh, that is fun that you have had the TPS experience, but what a shame that you couldn't enjoy it to the full when the time came. I think you could have asked for an extension under the circumstances - I am sure I heard of people doing that? Your composition sounds pretty neat considering how you were feeling (and not really smelling!). I think you need a bottle of Plum all right, so good luck in the draw. I know, I'm a bad perfumista, but I've never wanted to create my own perfume (well, not since I was 8 or 9 and did the experiment with rose petals in a jar of water, which I never wanted to repeat ;) ). I remember the ill-fated rose petal experiment, haha. Maybe that formative experience is what put you off ever being a budding JCE? Hello and thanks for the draw: please count me in! I am still to discover Mary Greenwell's perfumes and Plum sounds like a great place to start. Should I not like it, I know of a friend or two who would welcome such a bequest! I once spent a few hours and quite a few Euro creating my own perfume c/o a Nicolas workshop, which made for a memorable experience. I had fun sniffing and blending my way around notes and accords, but the resulting juice isn't to my liking. Hardly surprising and quite humbling, really. I now leave the making to professionals and stick to enjoying their productions! Thanks for stopping by and good luck in the draw. I was pleased to learn of your exit strategy should you win, and the perfume not suit! 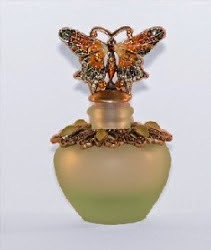 I was also interested to learn about your perfume making experience at a Nicolas workshop. I do agree that following my own rather disappointing attempt at making perfume, where I think I spoilt it at the last minute with an ill-judged addition, it is a job best left to better noses than mine! Hello! I have never tried Mary Greenwell perfumes and would love to try Plum if I may; me being a fragrance-crazy woman. Thank you. We always like to accommodate fragrance-crazy people! Thanks for your comment. Yes, the coincidence about Robertet's involvement with The Perfume Studio did strike me and I mention it towards the end of my post in fact. I don't think I would ever wish to be an associate again though, for if the RRP of the experience remains around the £50 mark, after fees, materials and my own marketing / hostess costs, I can't see how there could be much in it for me.